Also known as Denny Bottom Rocks. 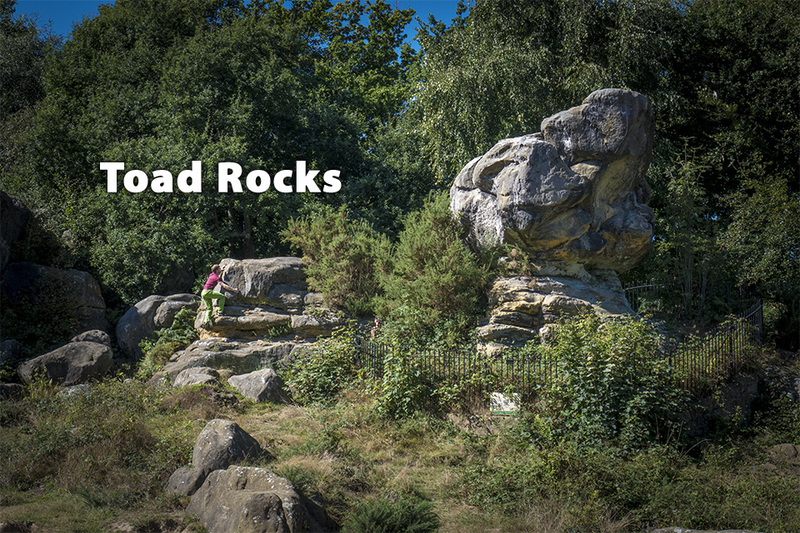 These rocks are located on Rusthall Common, a mile west of Tunbridge Wells and also a short walk from Bull's Hollow Rocks. 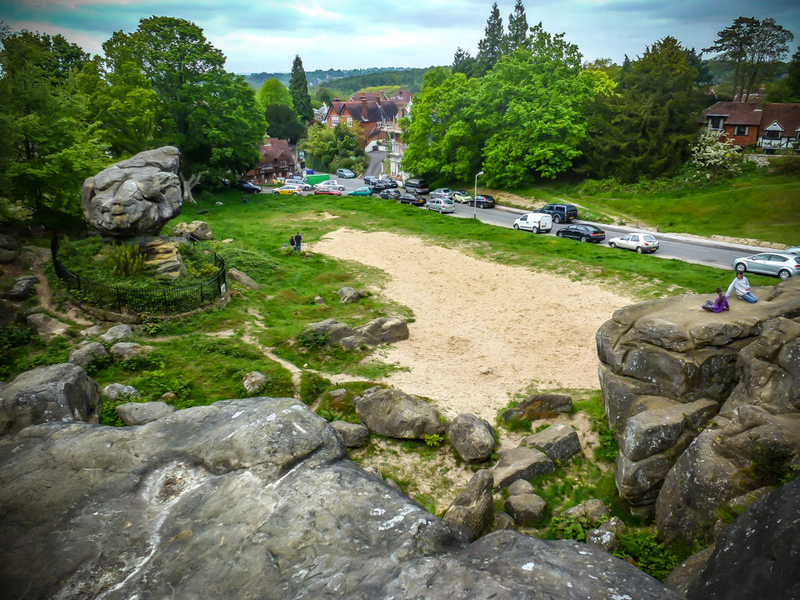 There are numerous boulder problems here and short climbs, although the 'Toad Rock' itself is fenced off. 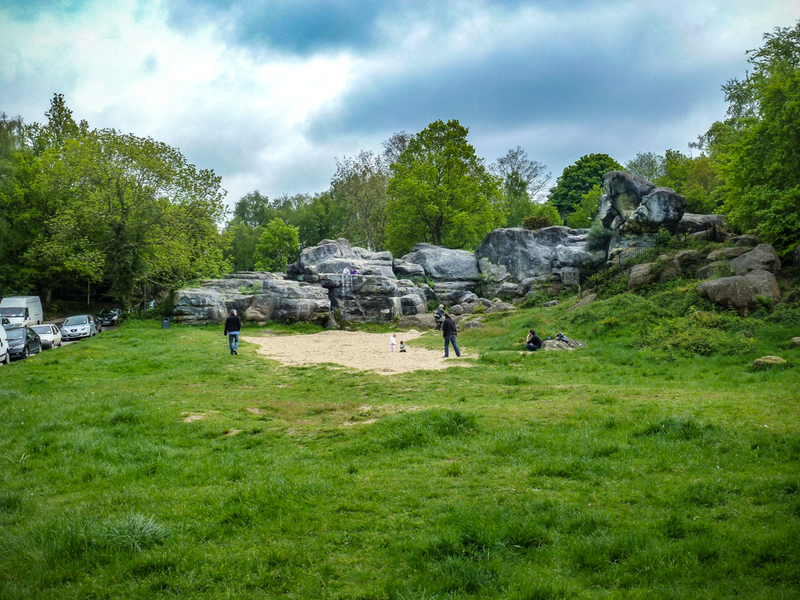 Some of the rock is a little soft and sandy, so take extra care to protect the rock by avoiding sketchy footwork and not using inappropriate brushes. The rock is very condition dependent, so make sure there has been no rainfall for a good few days before you visit. 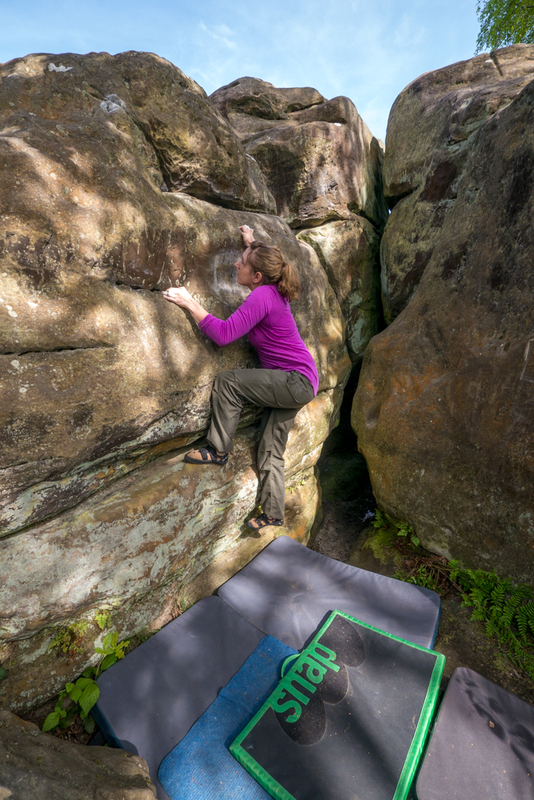 The Rockfax Southern Sandstone Climbs guidebook has the first ever topo of all the current (climbable) boulder problems at Toad Rocks. There is also a pub nearby for that post-climbing drink. Due to the rock having only a thin outer layer, the rock is very fragile and can only be soloed or top-roped. Lead climbing is prohibited and placing trad gear would easily rip out and damage the rock. 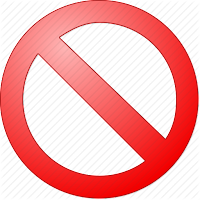 There is a CODE OF PRACTICE for climbers that should be read before climbing and setting up top-ropes.